Q's mom gave me these tiny anthropologie bowls as part of our Christmas present. Aren't they so sweet? They're one of my favorite items in the kitchen/dining room now. Her own birthday is just days before Christmas, so I had actually picked out these same bowls to give to her (she likes anthro just as much as I do!). Luckily, I put them back last minute and gave her a single decorative one, which we wrapped up with a stack of Q's homemade sugar cookies tucked inside. I saw those and was so tempted! I may have to have them - they're such a sweet size! These are so simple and sweet. 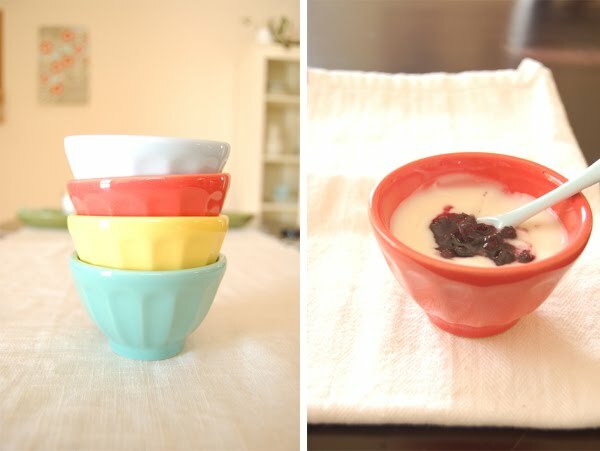 I have been on the hunt for little dishes like these! 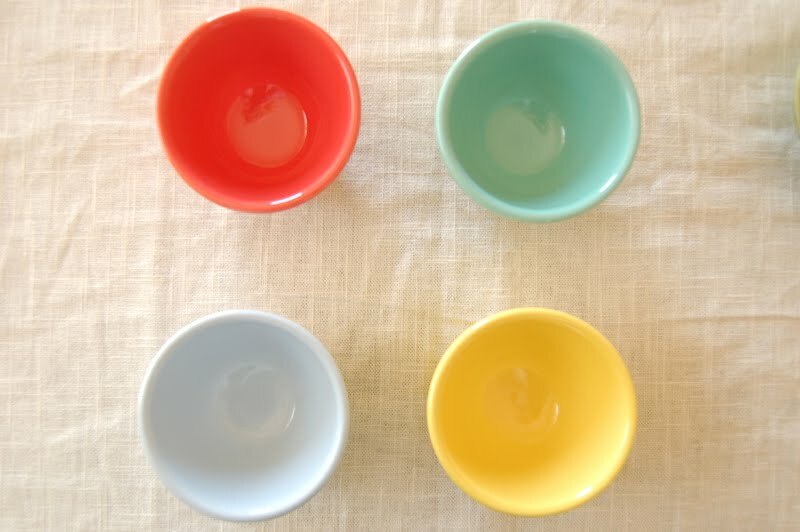 i have had these same bowls forever and i LOVE them! they make me soo happy! you and your mom both have good taste :-) love the colors! I always admire these when I see them. They are indeed a lovely gift too. So cheery and bright for these grey winter days! i first saw this post on my ipod but i couldn't comment. you have a fabulous MIL! What a great gift!